Guide Price £230,000 - £240,000. NO ONWARD CHAIN! Beautiful 1930`s semi detached family home situated in the desirable location of Lopes Road, Milehouse with popular local schools Montpelier Primary and Devonport High Schools for Girls within easy walking distance. The property has undergone a recent programme of refurbishment which has included an open plan modern fitted kitchen/dining room. The property offers well presented and generous living accommodation comprising, bright and airy entrance hall, lounge with feature bay window, open plan modern kitchen/dining room with views to the rear garden, fantastic utility area with fitted sink and space for white goods, three bedrooms and spacious family bathroom. 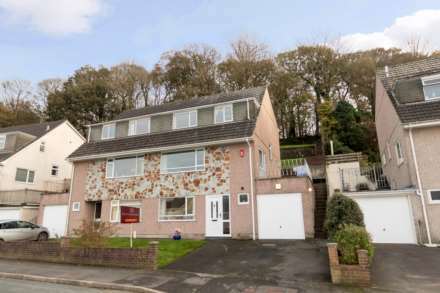 The property benefits from a lovely enclosed rear garden, double glazing, gas central heating and the potential to create driveway parking to the front subject to local planning consent. Spacious entrance hall with some charming features typical for the period of this home including ornate newel post, dado rail and picture rails. Window to side aspect allowing plenty of light into the hall with understairs storage cupboard. Spacious bright landing area with window to side aspect, dado and picture rails. Three piece bathroom suite comprising large bath slightly sunk into floorspace with shower attachment, hand wash basin and low flush w.c.